Guaranteed Pass Driving Course secures your path to getting a drivers license at an affordable price. How to book a Guaranteed Pass Driving Course? The first step is to call us on 075 12345672 and discuss your requirements. We will note down your details and then start making arrangements for your Guaranteed Pass Driving course. What is the next step after my details are taken? A two hours evaluation test will be taken to determine the standard of your driving and your rate of learning. This will be followed by an offer for the Guaranteed Pass Driving Course which includes a separate detailed signed contract between you and TTPDS Intensive Driver Training clearly specifying the responsibilities of the company and terms and conditions. What will happen if I fail in my driving test? If you fail in your guaranteed pass driving test you need too re-book another driving test within 14 to 21 days of the previous failed attempt.You will only be liable for the direct costs as charged by the DVSA for the actual test booking Fees Currently(£62) the cost of practical driving test booking for an individual on a normal weekday is sixty two pounds. However the costs may vary from time to time as decided by the DVSA. Under the guaranteed pass system you will be provided with 45 hours of driving lessons plus extra 5 more if the Instructor see you need those. 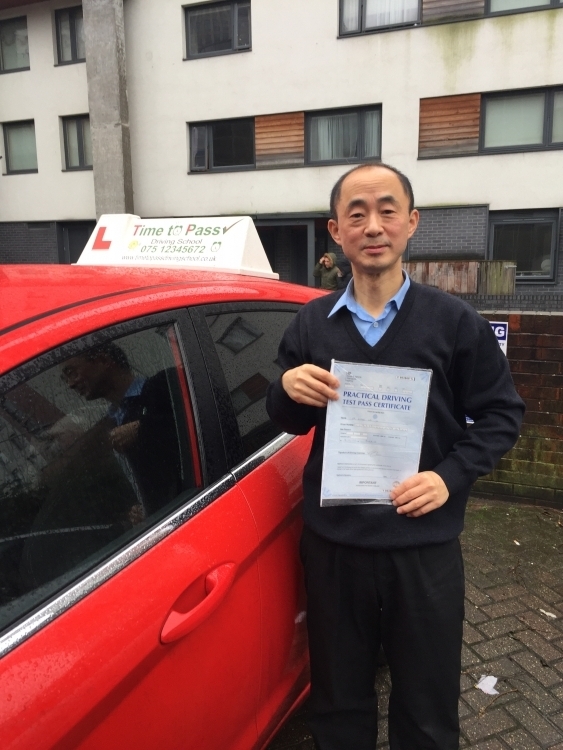 Our Guaranteed Pass Driving Course will encompass the lessons provided in advance of your practical driving test, the car hire fee on the day of the TEST. How many lessons are included in the Guaranteed Pass Driving course. (1) First you will receive 45 hours of driving lessons. If you are not ready for the test after 45 hours you will receive more (5 hrs) lessons to make you test standard. (2) if you fail your test at 1st attempt you will receive additional 5 hours of lessons and you would attend for your test 2nd time. (3) If you were to fail again you would receive another 5 hours of lessons and attend for your test 3rd time. Course will run for a maximum of 12 months, if you have not passed after your 3rd time you will be charged for additional hours/course and car hire fees as well if wish to take 4th time. We are so confident that everything will come out right in time because its your TIME TO PASS.